Over the last month or so I have found myself in a little funk with my photography. Wasn’t really sure why, but just seemed to be coming home with mediocre results. After a little navel gazing and looking through the people I follow on 500px, I realised that I was again going out as a generalist (shooting anything), rather than a specialist (shooting what I liked. So what do I like? 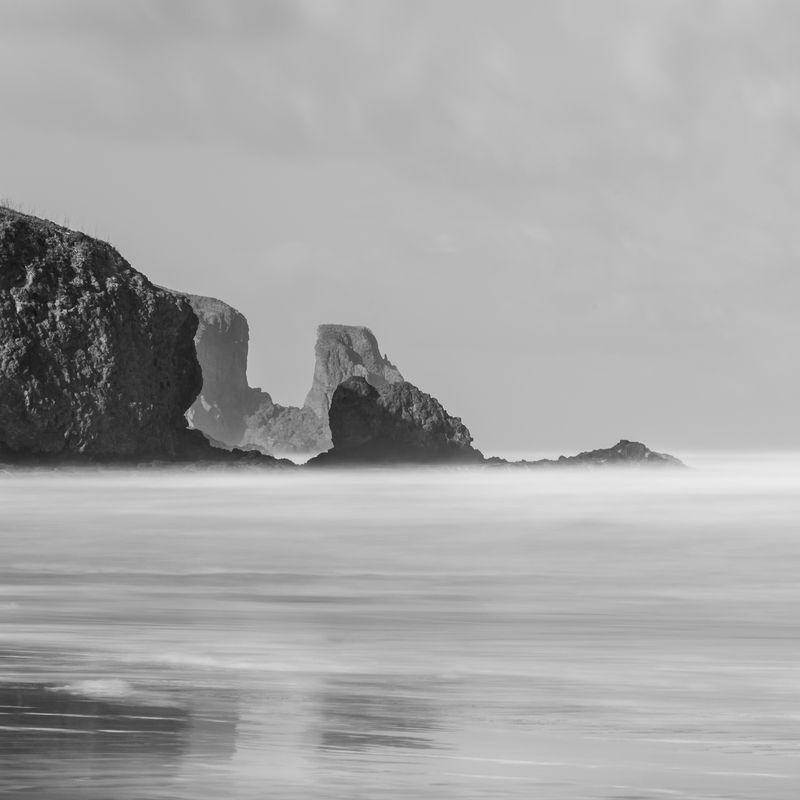 Truth be known I love minimal B&W long exposure landscapes. So let’s go and shoot some. 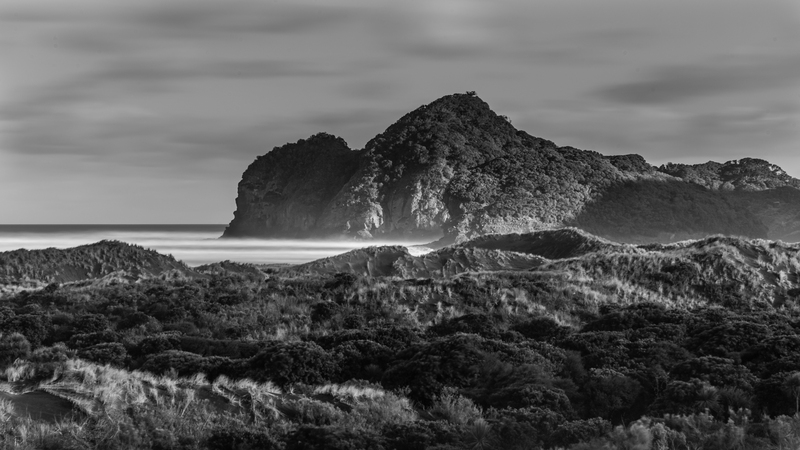 Bethells Beach is a logical place to start for me, this is one of my favourite places in Auckland. Am not sure why there is a great feel about the place to me. 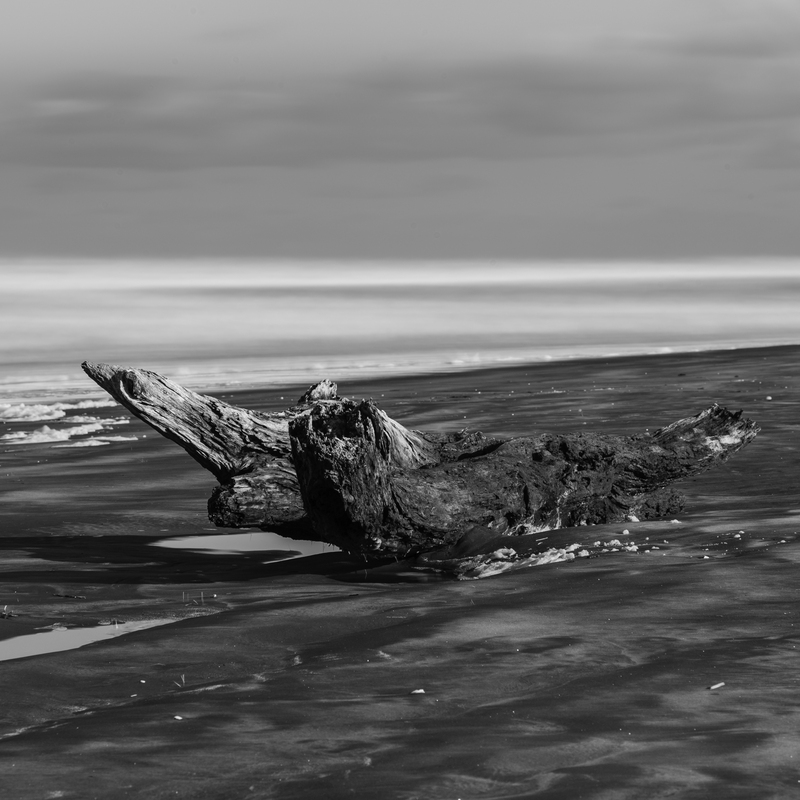 If you are going to shoot long exposure B&W then the Leica Monochrom is the best vehicle for that endeavour in my mind. 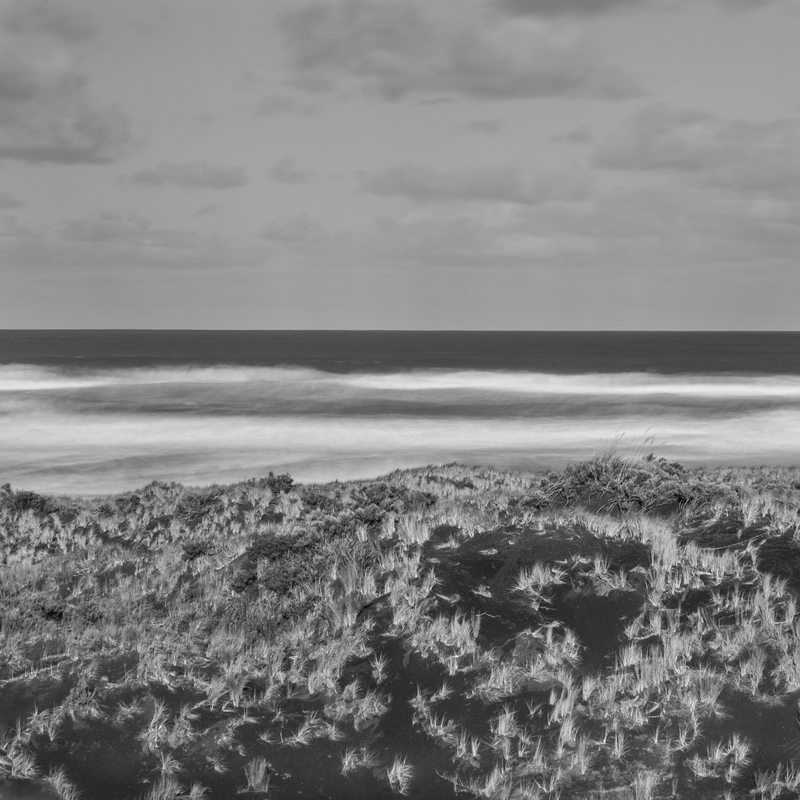 I won’t wax on about how great the Monochrom is here, but using a digital rangefinder for long exposure makes so much sense. Today I loaded my little Minolta 90/4 with two B+W ND filters (10+6 stops) and the Monochrom’s meter said that 62s was the exposure at F8. With an SLR and with 16 stops of light blocked, the VF would be black and I wouldn’t be able to see anything. This is where a digital RF shines, I can load the filters, level the camera, compose and shoot with a bright viewfinder. Brilliant. You can see by these shots I really like cropping square and 16×9. The square is my favourite hands down and this comes from my love of the Hasselblad Medium Format systems. 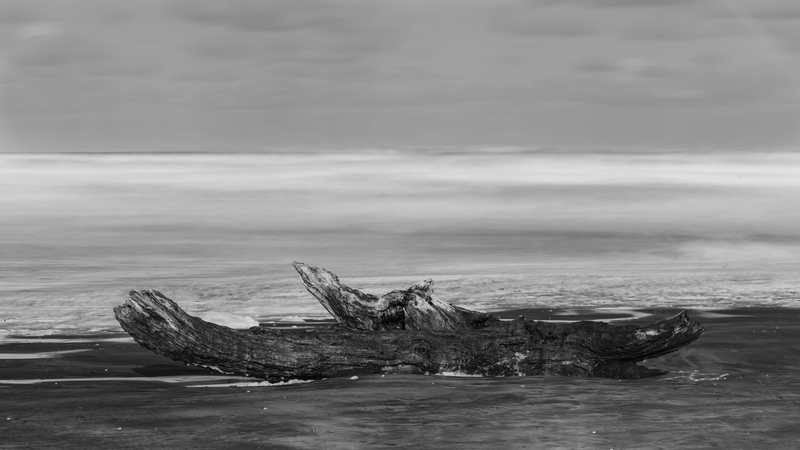 The 16×9 though, as seen in photo above, is a homage to my extensive use of the Hasselblad Xpan. I feel 16×9 is the closest to the 24×65 negative size of the Xpan. 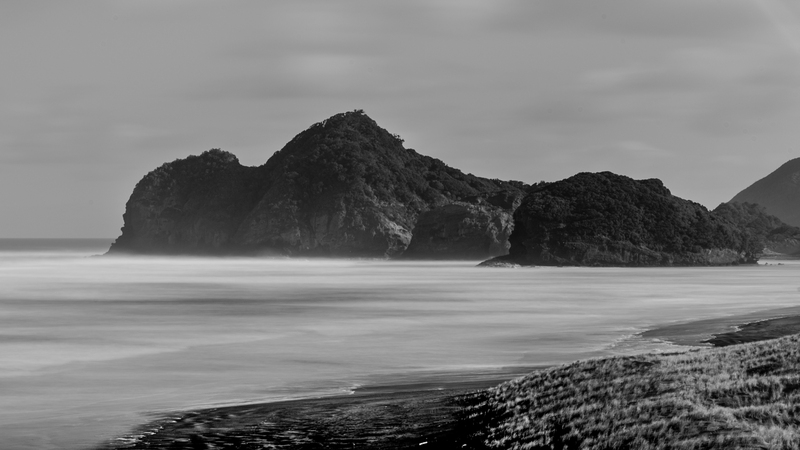 If you haven’t been to Bethells Beach then do yourself a favour and get out there early one morning. It is a great place to take a deep breath and escape the city.